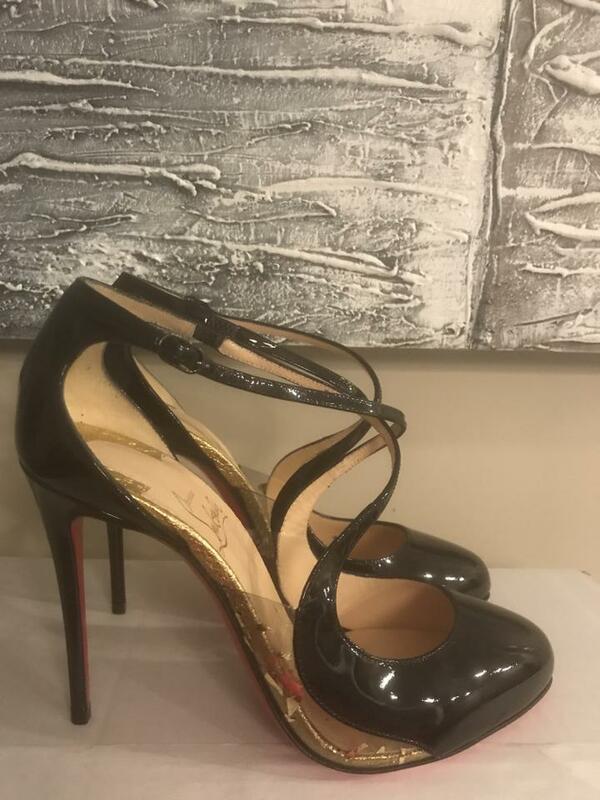 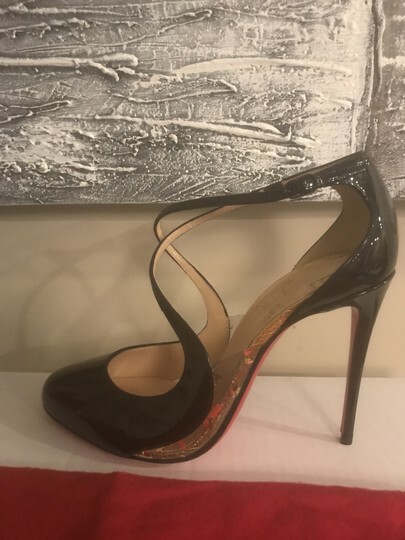 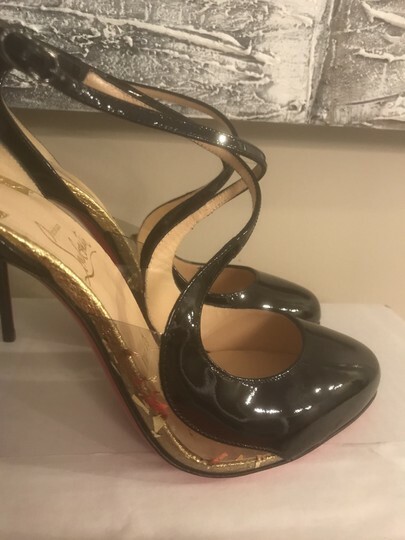 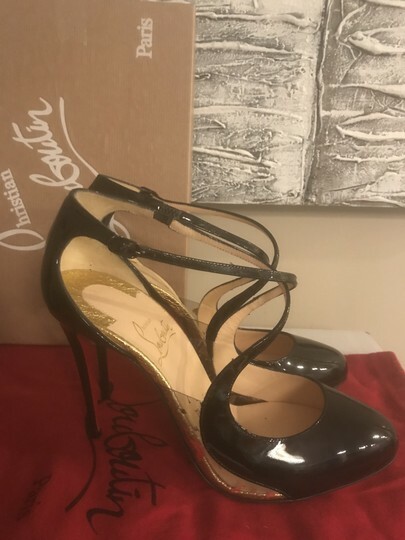 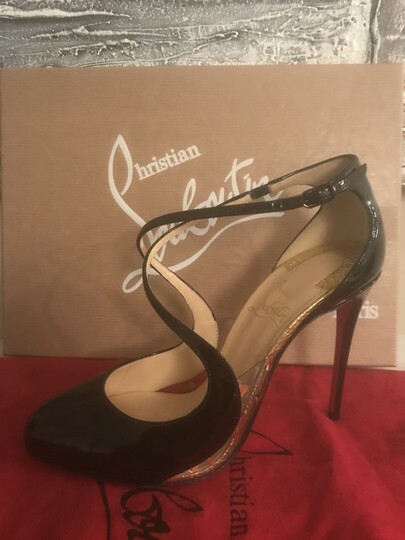 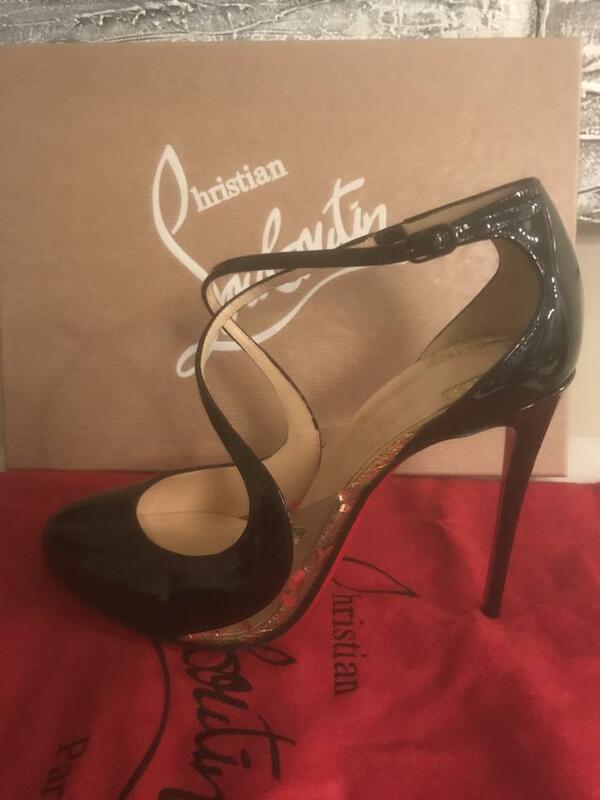 Christian Louboutin pump in black patent leather. 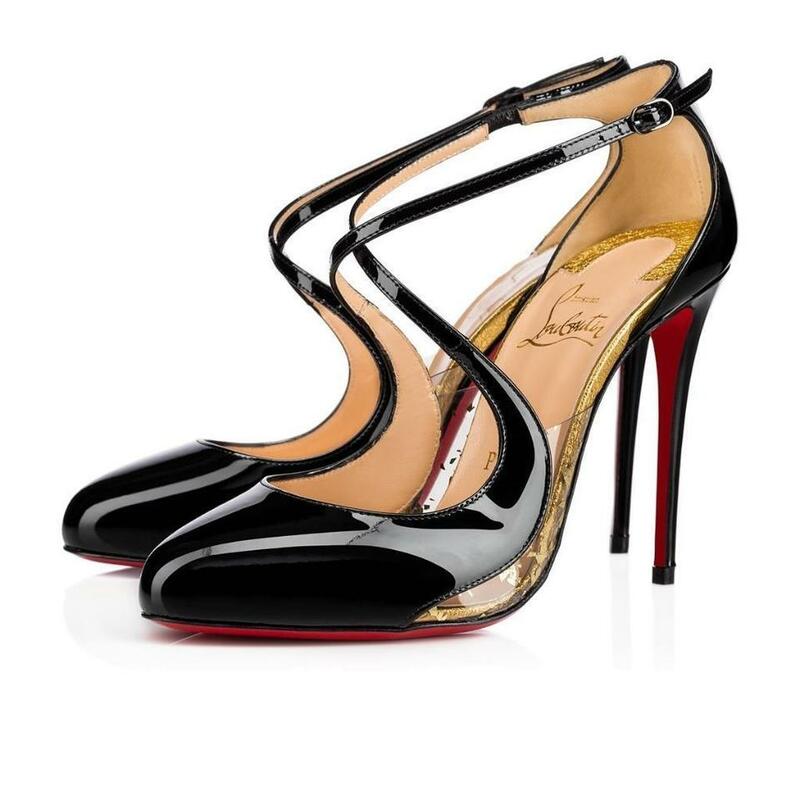 Transparent vinyl panels with golden metallic specks. 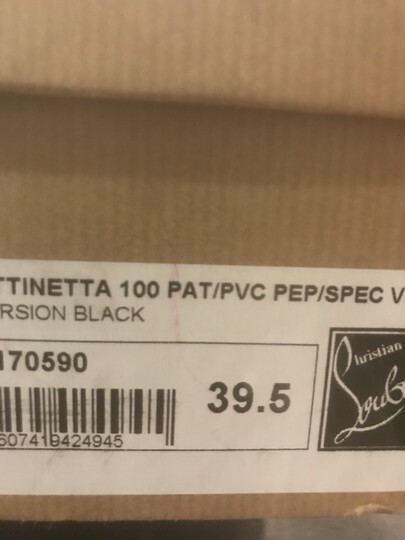 "Crossettinetta" is made in Italy. 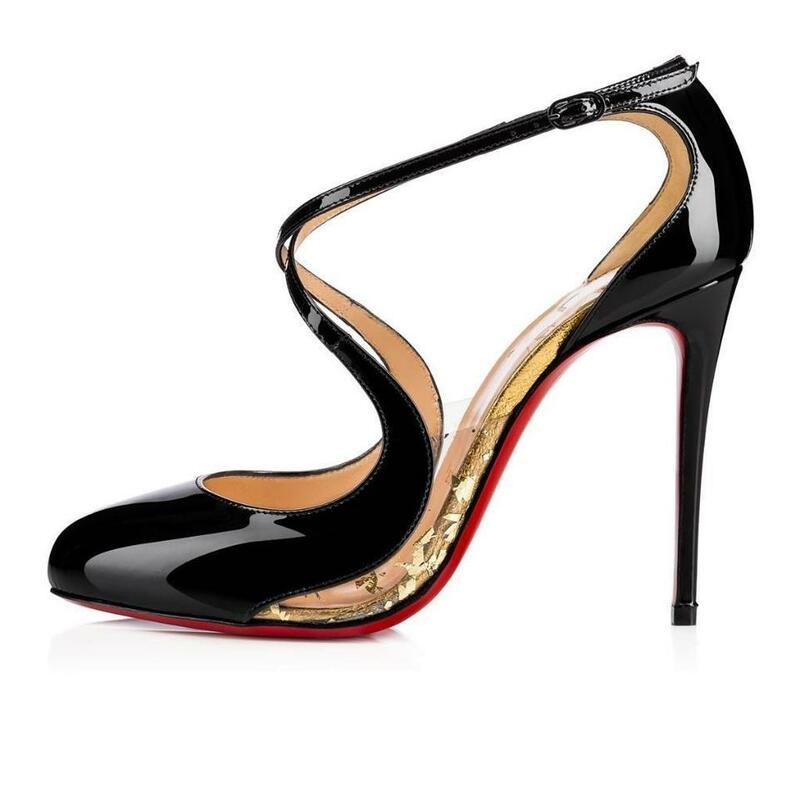 Size: 39.5 EU (Insole: 10").